Jagiellonia Bialystok central defender Ugochukwu Ukah netted his first goal in the Polish championship for the past 30 months on Saturday as Jaga played a 1 - 1 draw with home team PogoÅ� Szczecin in the 20th round of matches. 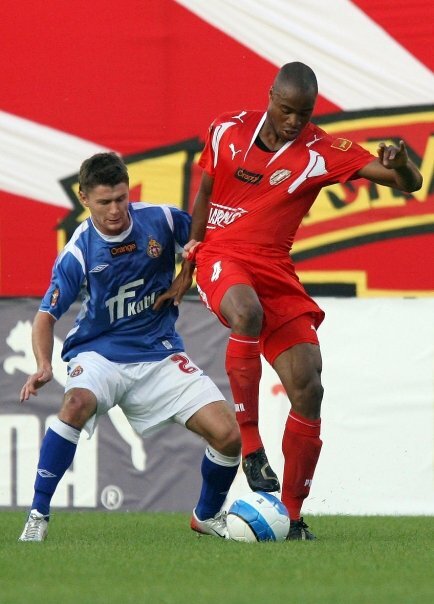 The former Queens Park Rangers ace had not been on the score-sheet since his 28th minute strike against Korona Kielce while defending the colors of Widzew Lodz on March 5, 2011. Matthew Piatkowski had given PogoÅ� Szczecin an 18th minute lead only for Ugo Ukah to equalize through a header two minutes later. Ukah, 30 next month, has made 15 appearances (13 starts) in the league in the ongoing season.